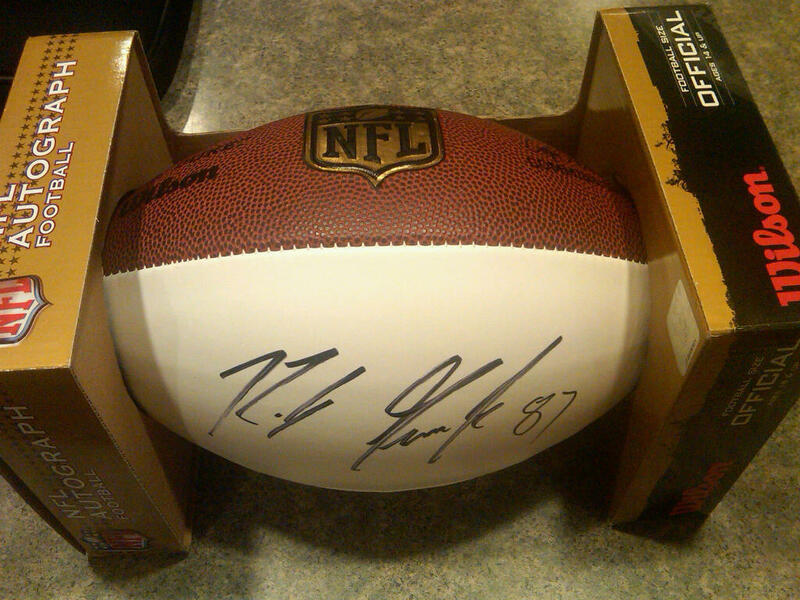 Ball was donated by Rob's father, Gordy Gronkowski, to a charity golf outing i was on the organizing committee for on July 11, 2012. I personally picked up the ball from Mr. G, at his G&G fitness store on transit road Williamsville NY. I later won the auction for the ball. Rob was in town that holiday weekend as he had just donated fitness equipment to local not for profit, and was also playing in Triple A all star home run derby in Buffalo NY the following day, so he agreed to sign and donate the ball.The Gronk boys attended the same high school as my boys.